During our way too brief visit to Washington, DC we took an Old Town Trolley Monuments by Moonlight tour of the monuments and memorials. This was by far my favorite of our DC activities. 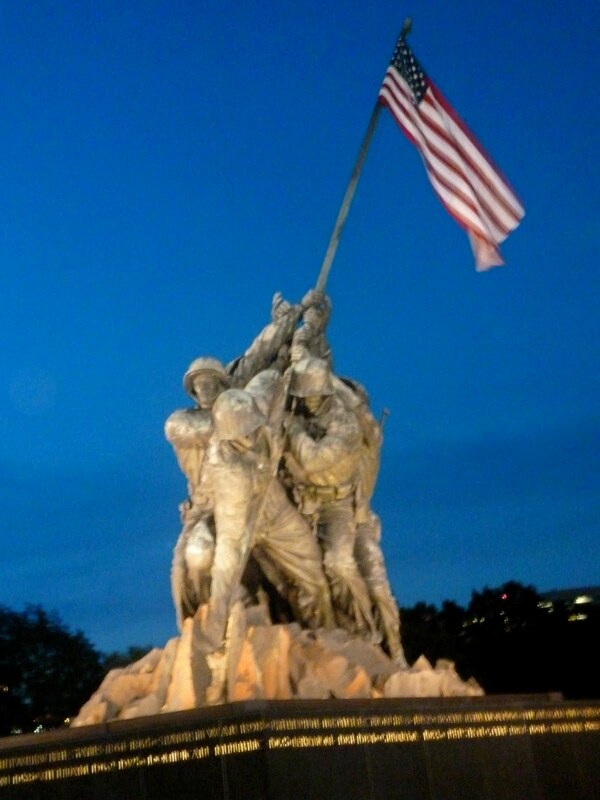 Seeing the monuments all lit up at night was absolutely breathtaking. Another highlight was that we had a fabulous tour guide who told the most interesting stories and from whom I really learned a lot of interesting facts! 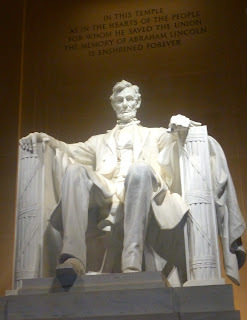 It was truly a wonderful experience and if you are visiting DC - I highly recommend it! I'd love to see you Wordless/Wordish Wednesday Photos! Awesome shots....I love the last one! You are on some kind of wonderful vacation! Each week you pop up somewhere new! Beautiful photos! How wonderful that you guys are seeing a new place every once in a while! Great photos! Never been there, looks wonderful! Those are some awesome shots. 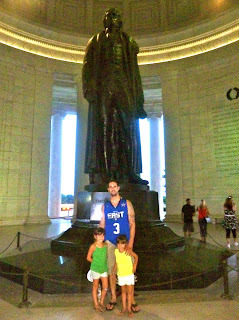 Can't wait til the girls are older and we can go to DC. My daughter goes to school at The University of Maryland. We love visiting her and DC at the same time. Wow! Each of those pictures look amazing! Awesome photos! I'm still jealous at your wonderful vacation you had. I'm living through your photos! It's definitely one of the many places I've yet to travel to. And now that I have kids, it's a place that would be great for our family to experience and learn. Thanks for sharing! I've been there! Great pictures!! I pretty much have the exact same pictures from my trip to Washington, minus of course you guys in them! Hope you enjoyed your vacation! I love DC - never get tired of it!! Great pics! You got some great shots anyway! I have never been to DC - it is definitely on the travel list! Happy Wednesday! Great photos! This brings back some wonderful memories! I had been there when I was 17 and it was my first time in the US. Love your photos. I am hopefully going to DC with the hubby is October. I can not wait and hope it works out for me to go with him. I love going to DC at night. Your pictures are great too! Someday I would love to go to Washington DC. Great pictures! I love love DC, there is always so much to do! That evening tour sounds fabulous!!!! I always wanted to try it, and I love the soft lighting in your pics! I remember our trip to DC. We loved seeing all the monuments! never been there, but through your captures.. it helps to see its unique beauty..
Beautiful photos! I really love the third one! great vacation photos. some day I hope I can visit, what a great opportunity to see history!